The Breakout box trading system is to get 20 pips of profits on each pair thus making profits of upto 80 pips a day. Currency pairs: You can trade 4 to 6 pairs at a time, such as EUR/USD, EUR/JPY, GBP/USD, GBP/JPY, EUR/GBP, USD/JPY . Place an pendig sell order 5 pips below the box. Place an pendig buy order 5 pips above the box. Profit Target 18-25 pips depends by currency pair, or on the pivot lines. Initial stop loss 20-25 pips, After 15 pips in gain move stop loss at the entry price. Here is the Chart . Entry time 07:00 UK Time. We now analyse the Market through the Indicators that we have on the chart. The first thing is the Yellow Resistance line on top, this gives us an indication of the market going down. Next is the Trend Indicator is also Red, confirming the downtrend. The other 2 Indicators, the RSI and the trading Zone that we notice are also pointing downwards. This confirms our selection for Sell Order Only. 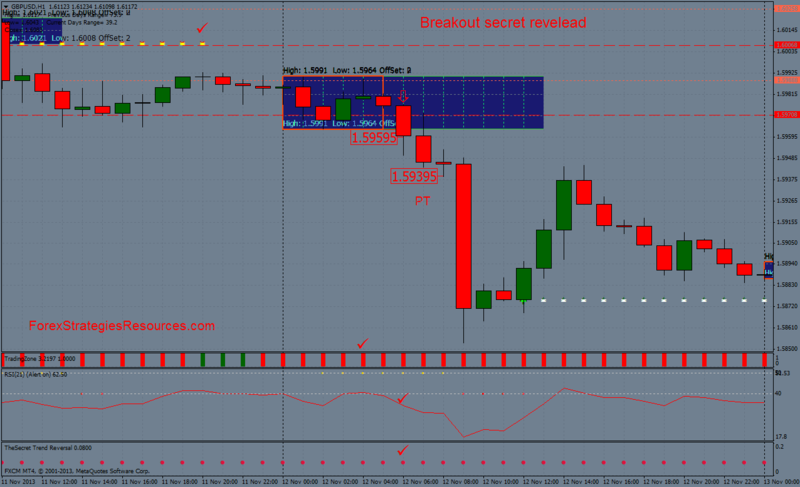 We place an pendig order 5 pips below the Asian breakout box. In the pictures Breakout box secret revelead Trading System in action. Breakout secret revelead Trading System (Template and indicators). 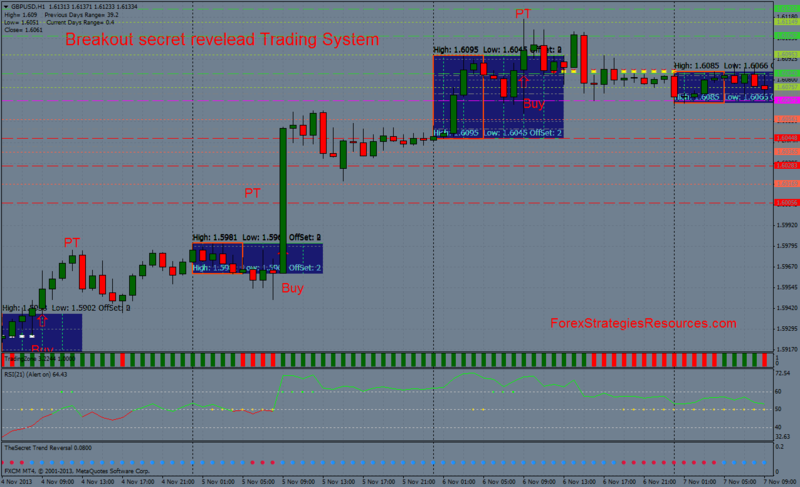 Breakout secret revelead Trading System.